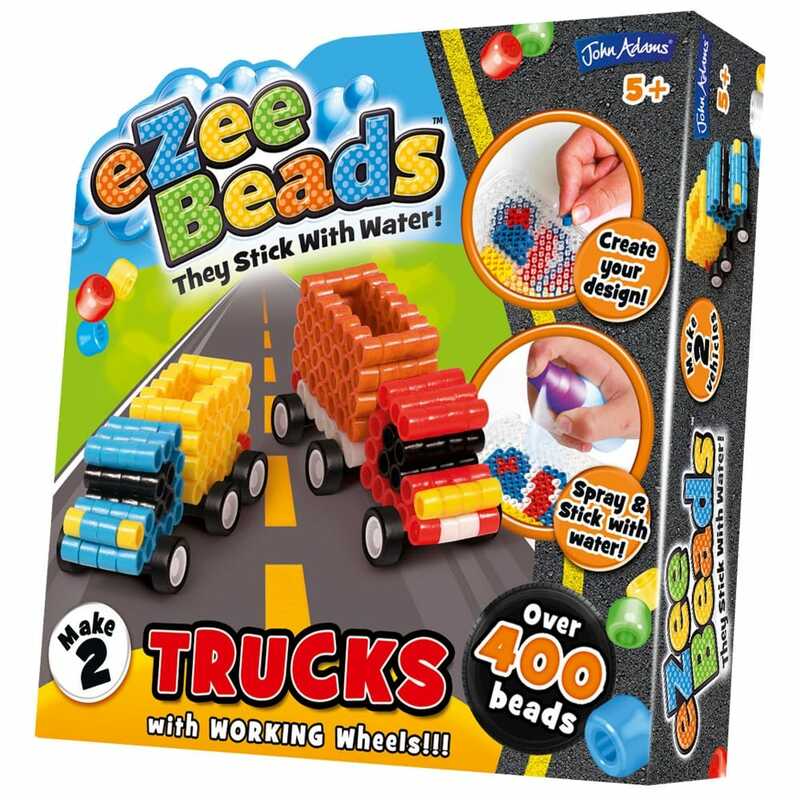 Create colourful eZee Bead trucks with working wheels, eZee beads do not need an iron to fix together all you need is water and it's great fun for age 5+. The mini set will let you make vehicles with working wheels to show and race with your friends. It fun and easy to do: choose a design, spray with water and they will stick together ready for you to play with. The set contains over 400 beads, wheels, bead storage , design cards, bead tray, water sprayer, plastic pegs and bead tool. Adult supervision may be required to attach the wheels.